Setting: Orchard Creek’s Amphitheater provides such a gorgeous setting for a wedding. The sight of Alysha and Justin pouring their hearts out to one another in front of the the golf course was breathtaking! Now that’s an Exit: Make sure you check out their ceremony preview clip below to see their exit after being pronounced man and wife. That’s the kind of excitement we like to see! Vendor shout-out: It’s always gonna be a great day when we get to work with Mackenzie and Chuck from Chuck Roberts Photography (www.chuckrobertsphoto.com). We tell this to them everytime we work with them, but they are the only photographer we have run across that uses a reflector for their outdoor photoshoots. It make the subject “pop” so much more and it makes such a difference in our video. It’s great working with such a knowledgable duo who are striving to get the exposure right in camera instead of relying on photography software after the fact! We also enjoyed working with DJ Mike Anderson of Creative Memories. He always makes sure to keep us in the loop and every time puts on such a fun party! He even brought with him a garter blaster for the groom to use while tossing the garter. How creative! 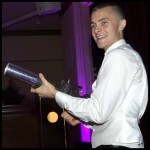 Check him out at (www.creativememoriesdj.com). 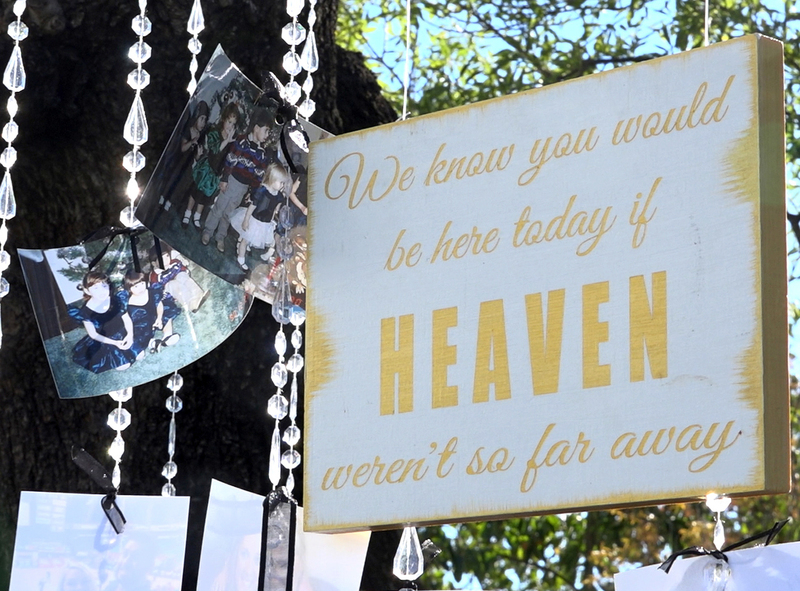 Setting: Maryann’s parents’ ranch provided the perfect backdrop for a country-themed wedding. The property is so large that some guests brought their RV’s so they could spend the night! Family affair: The amount of time that Maryann’s parents put into getting their property ready to stage a wedding had to be enormous! They took a blank canvas and created not only ceremony and reception spaces, but they also staged several areas (cake table, guest book area, photo booth, watering hole, etc). Everywhere you looked there were cute details. 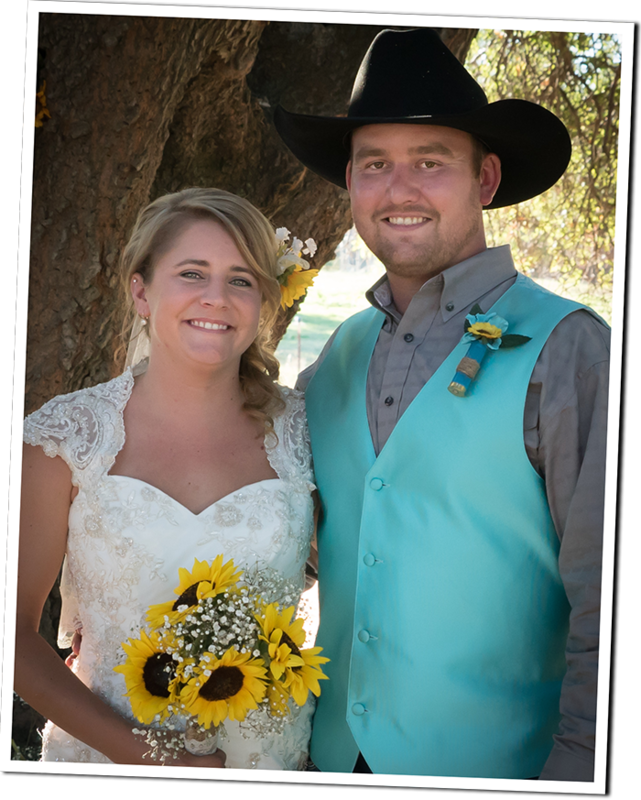 Great idea (sort of): Instead of blowing bubbles or throwing rice as the bride and groom walked down the aisle, they had the great idea of sticking with their country theme and using sunflower seeds. Too bad that some guests didn’t realize that they were supposed to take the seeds out of the bag and not nail them with the pouch as they walked by! Setting: The grandeur of Palmdale Estates provided the perfect backdrop for Christina and Mike’s 1920’s themed wedding. Walking up to the Mansion you really felt like you were being transported back in time to a different era. And Christina and Mike took that feeling and ran with it, encouraging guests to dress up in 1920’s flapper attire and really make an affair of it! 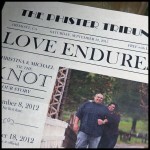 The theme: I am a sucker for a theme wedding and this one probably takes the cake for our 2015 weddings. The attention to detail was incredible! 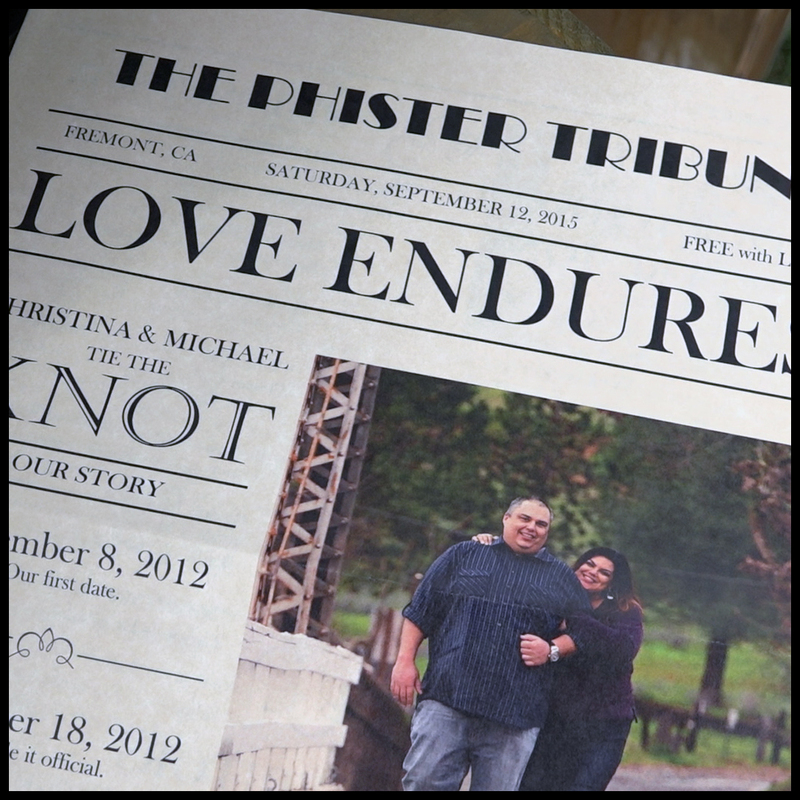 From the newspaper-style program to the “Prohibition Ends” cocktail favors, they went above and beyond to make their guests feel like they were in a Great Gatsby novel. Many guests arrived already dressed to impress circa 1920 but for those who didn’t the couple provided suspenders for the men and headpieces for the ladies so everyone could be all dolled up. What a way to make everyone feel a part of the event! Great idea: Instead of a traditional guest book they had their guests fill out Vintage postcards that will be mailed to them throughout the first year of their marriage. Rather than going through all the well wishes immediately after the wedding, how cool to receive them periodically throughout the year! 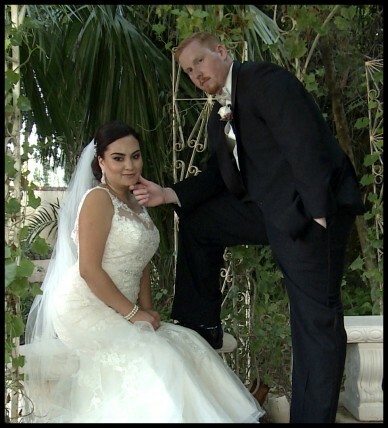 Another great idea: Christina and Mike went above and beyond when it came to taking care of their guests. 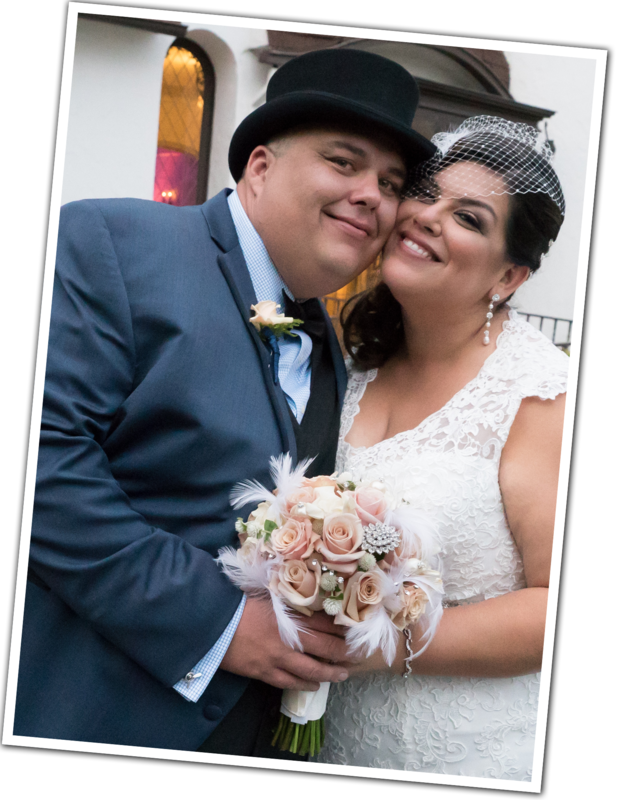 Their wedding included a photo booth, cigar bar, a live jazz band, a dessert bar, and a candle bar. What’s that? You’ve never heard of a candle bar? Neither had we! Guests were given steps on how to assemble their very own candle by assembling various scents. What a unique idea! Setting: McFarland Ranch provided a gorgeous backdrop for Carley and Virgilio’s country chic wedding. Carley chose a plum color as her focal point and included accents of gold. That choice became very fitting as they said their “I Do’s” at golden hour. The sun-kissed high school sweethearts vowed their love for each other in a sweet ceremony where the sun shone strictly on them as if to spotlight them. Following the ceremony the party moved to the ranch’s expansive yard for a night of dancing and laughs under string lights. Great idea! 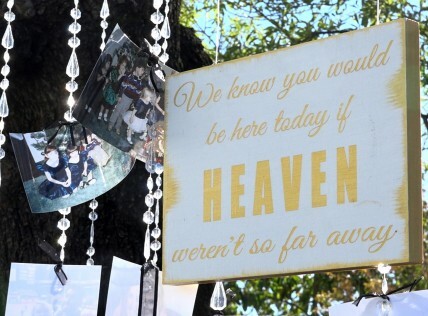 : As a tribute to their separate upbringings and those relatives no longer with them, they created a display of family photos hanging from the trees. It was a great focal point for their guests during cocktail hour and such a great way for their immediate family to reminisce. Fabulous Vendors: It takes a village to put on a wedding and our job was made easier and much more enjoyable working as a team with their photographer and coordinator. 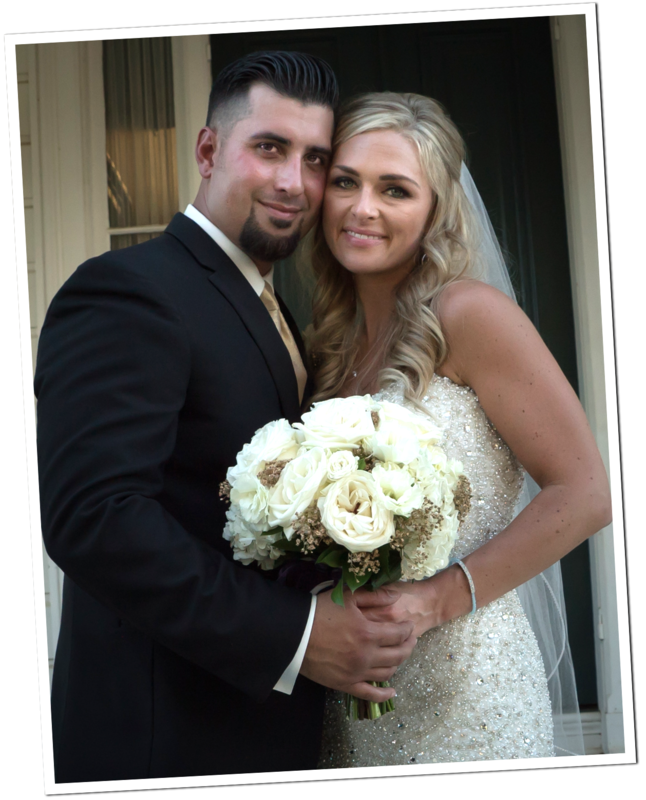 Shelley with Stylish and Savvy (www.stylishandsavvy.net) had the monumental task of coordinating an outdoor wedding with 300 guests! We also got to work again with Andre and Irene, the talented husband and wife duo from Eye Connoisseur (www.eyeconnoisseur.com). Andre has such a great energy and Irene has such a great attention to detail that they make the perfect pair. They knocked out a ton of family photos plus bridal party pics and bride & groom romantics in under an hour! The Setting: St. Anthony’s Church is such a beautiful, classic church with a beautiful brick facade. 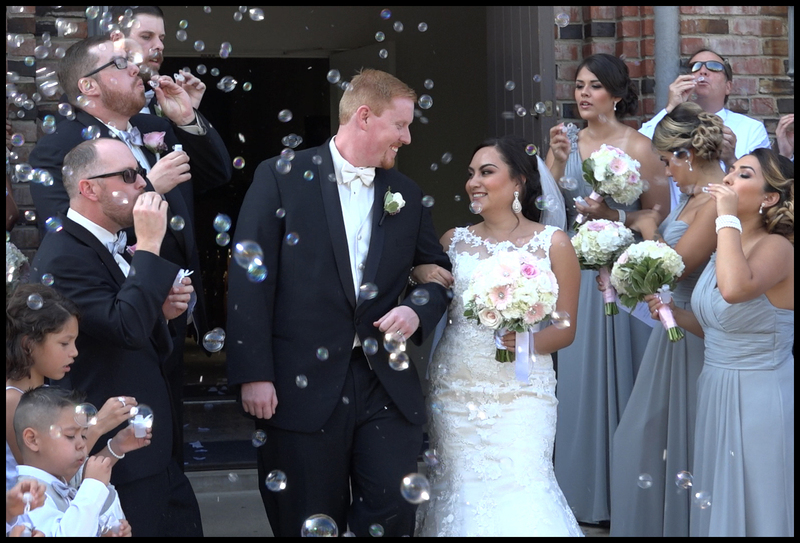 The image of Laura and Jesse exiting the church after the ceremony with their guests surrounding them in bubbles was such a gorgeous image. That’s a first! 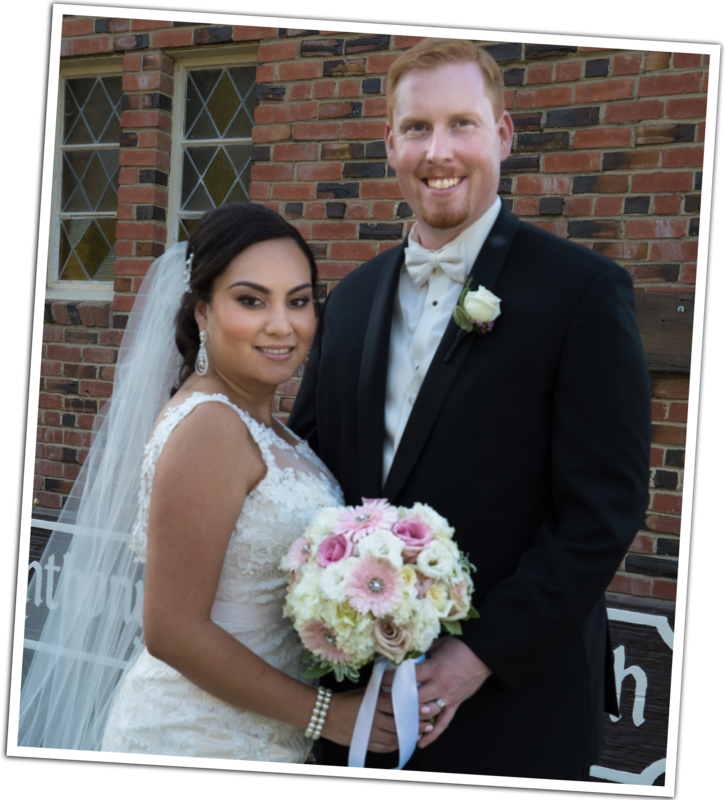 : Of the 331 weddings we have shot, probably at least a 100 of them have been Catholic ceremonies and we experienced a first with Laura and Jesse’s wedding — they were able to write and express their own vows to each other during the service. Laura said it’s because their priest is super cool and fun. Yes he is! Great idea! : Laura’s parents have a classic wedding photo from when they got married and Laura and Jesse wanted to re-create that photo for their own wedding. It’s really funny how photography poses have changed over the years and it was comical watching them re-create the photo. Laura is kinda sassy and her bridesmaids were getting a kick out of her being so angelic. 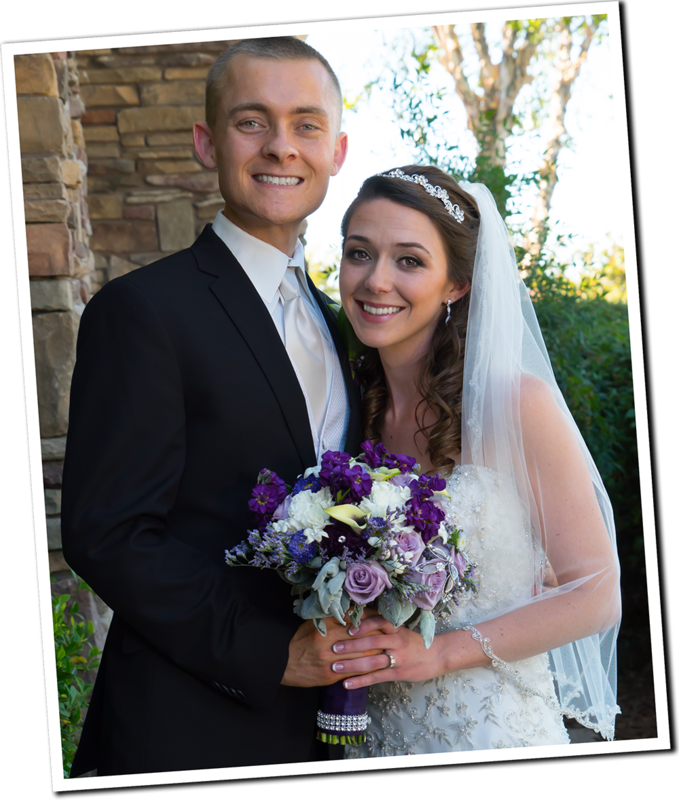 They chose Nicole from XSiGHT Studios as their photographer and if you’ve done your homework on photographers, you know that XSight is known for the looks they create. I’m sure this pose was probably a first for Nicole.